With the new Microsoft shift towards Online first policy, a large number of Dynamics CRM On-Premise customers are looking to move to Dynamics CRM Online. However, Microsoft does not allow for a direct import of your Dynamics CRM On-Premise database to Dynamics CRM Online Servers. This complicates the shift and sometimes is the reason for not moving over even though there is a desire to stay updated with the latest CRM Online. Bringing over the complete data from an On-Premise CRM may seem to be a difficult task given that we are talking about the entire database here. Why use our Data Migration Services? Imagine spending hours on end when you have to export data from a system to an Excel Spreadsheet. Migration from CRM online-premise to CRM online doesn’t seem to be simple even when your CRM is equipped with many native import tools. The task of importing data appears to work well for small data volumes and when it involves a single entity. It is not the case of just transferring the backup file to restore the environment or just clicking a few buttons on the import wizard. When migrations come into the picture, you actually require the expertise which you probably might not possess. If you think it is vital to deploy Microsoft Dynamics CRM on-premises to Microsoft Dynamics CRM Online, then you could rely on Inogic. At the onset, we evaluate your present situation and develop a solution in sync with your long term goals. We use the SSIS toolkit framework which manages and imports data at a quick pace. A diverse skill set is what makes us unique in the competitive market. 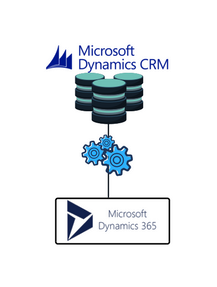 Contact Inogic today, we would be delighted to offer you a solution for Dynamics CRM online migration.